This is a nice, small, inexpensive, easy to build, very portable PV system from Kevin. He uses it primarely for camping -- lights, radio, charging cell phone... 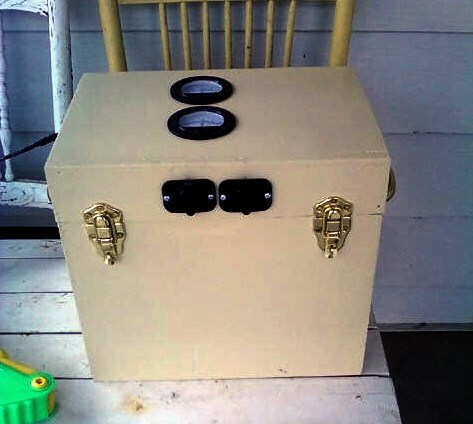 But, it also would make a good power source to have around in emergencies, and a good project to learn something about solar electricity. Single box contains the charge controller, battery and other circuitry. The system is all contained within the single box shown above except for the 50 watt PV panel. 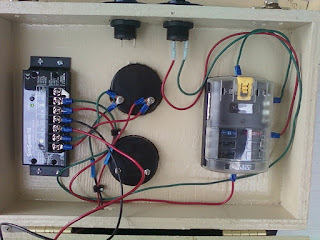 The charge controller, meters, fuses and outlets are mounted in the box cover. 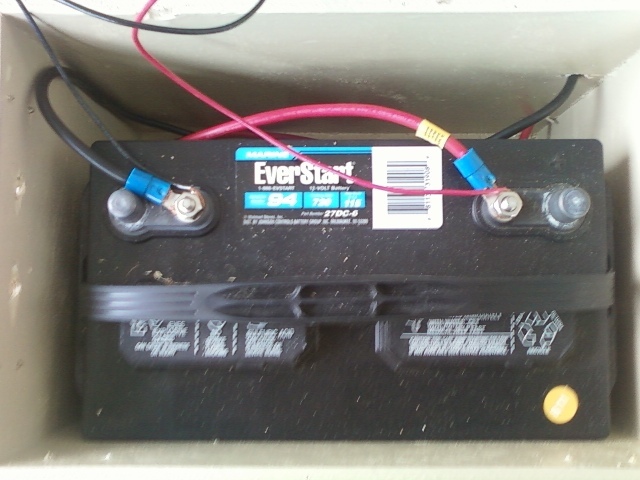 The battery (a deep cycle RV battery) is housed in the main part of the box. 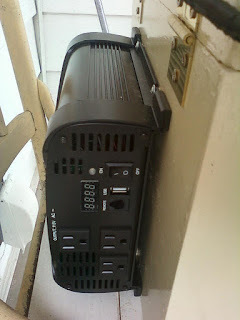 An inverter on the back of the box provides 120VAC.